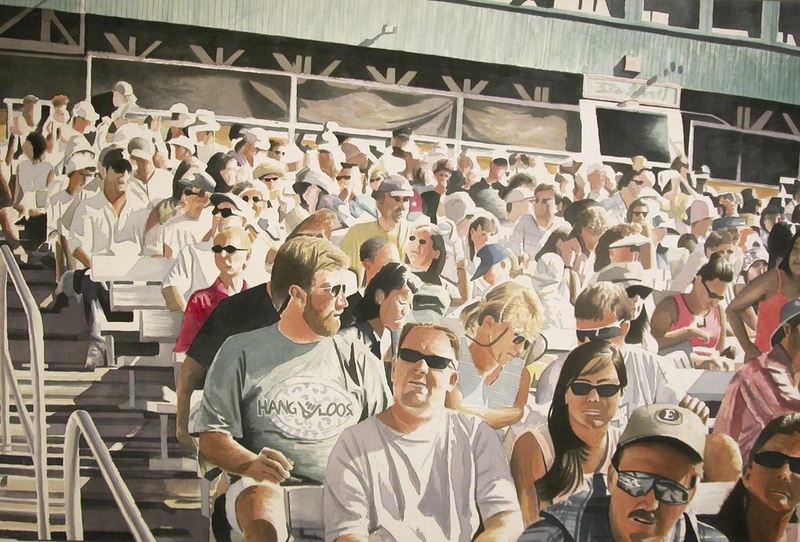 Sea World Crowd, 2003, acrylic on canvas, 40 x 60 in. Ramona and Mungo, 2005, acrylic on canvas, 40 x 60 in. Night Crowd, 2003, watercolor and acrylic on paper, 25 x 51 in. Lawn chair Crowd, 2003, watercolor and acrylic on paper, 25 x 51 in. 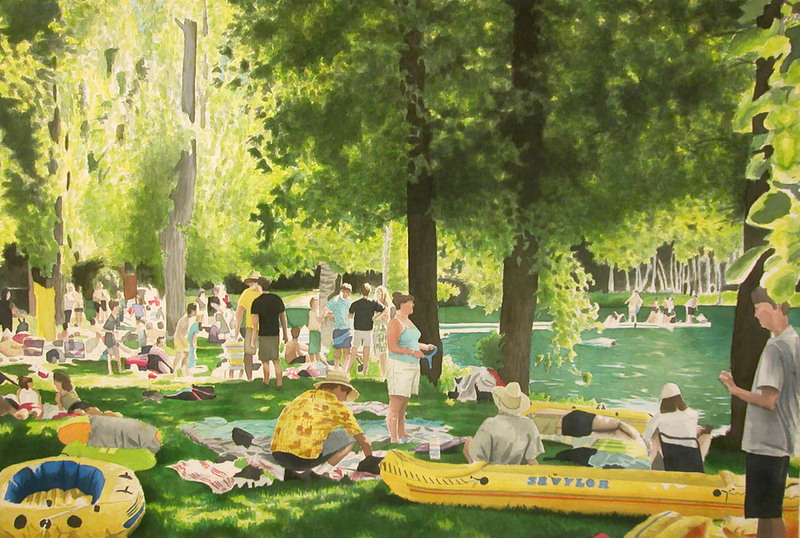 Park Crowd, 2003, watercolor & acrylic on paper, 34 x 60 in. 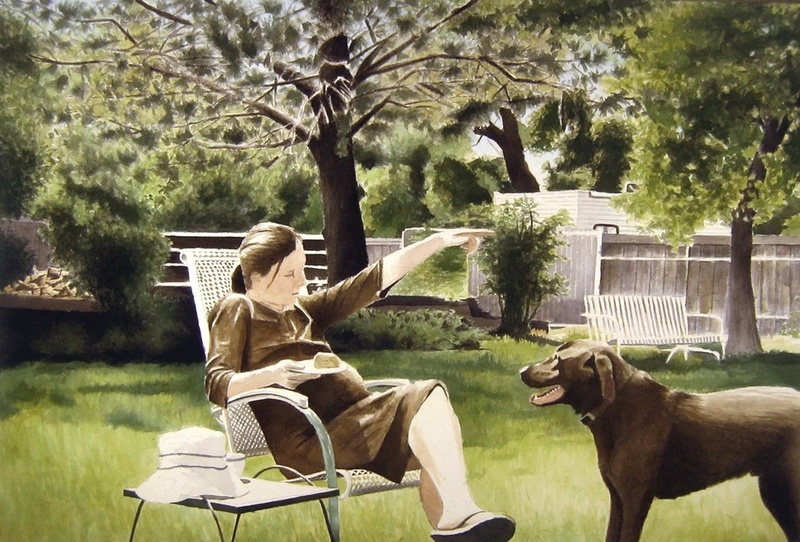 Lawnchair, 2002, acrylic on canvas, 36 x 48 in. Drive Thru, 2003, watercolor, 18 x 62 in. Street with Clouds, 2003, watercolor & acrylic on paper, 32 x 56 in. Tree Island 1, 2003, watercolor, 9 x 13 in. Tree island 2, 2003, watercolor, 13 x 9 in. 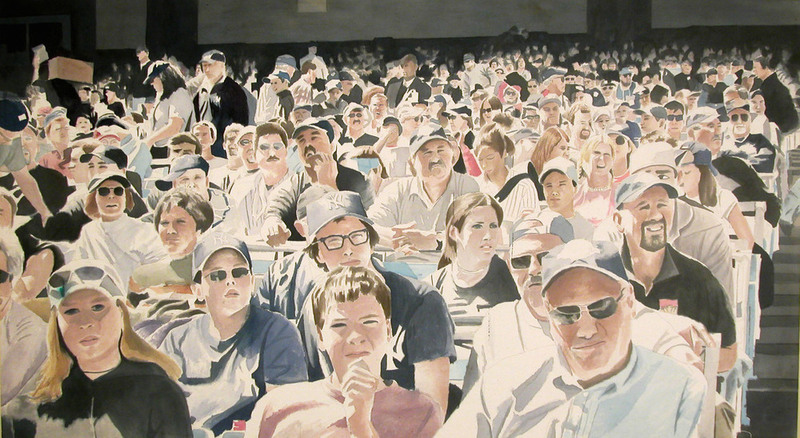 Baseball Field, 2003, watercolor, 18 x 62 in. Sycamore Pool, 2002, acrylic on canvas, 36 x 44 in. 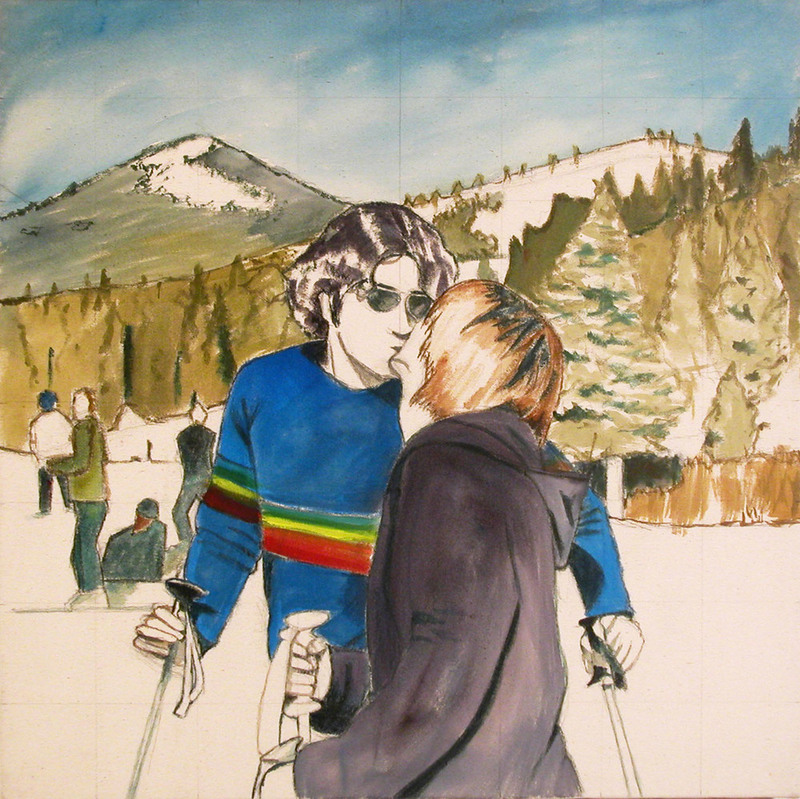 Ski Kiss, 2001, acrylic on canvas, 24 x 24 in. Ski Pose, 2001, acrylic on canvas, 24 x 24 in. 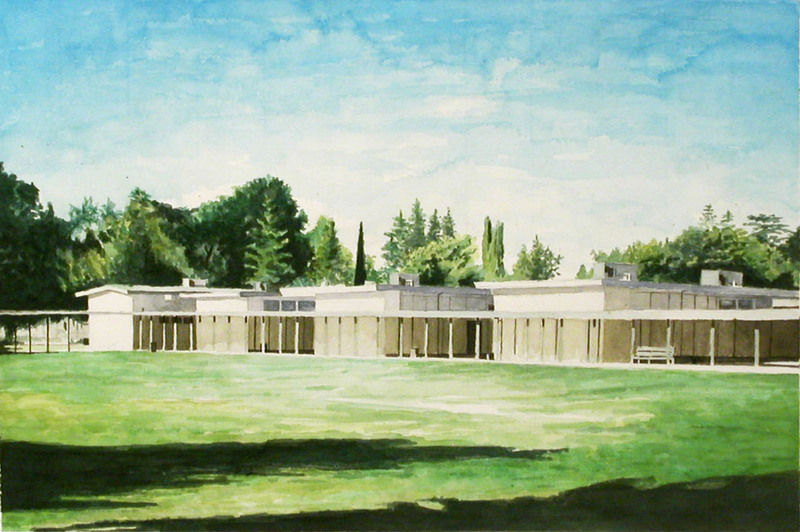 Driveway, 2002, watercolor, 14 x 21 in. 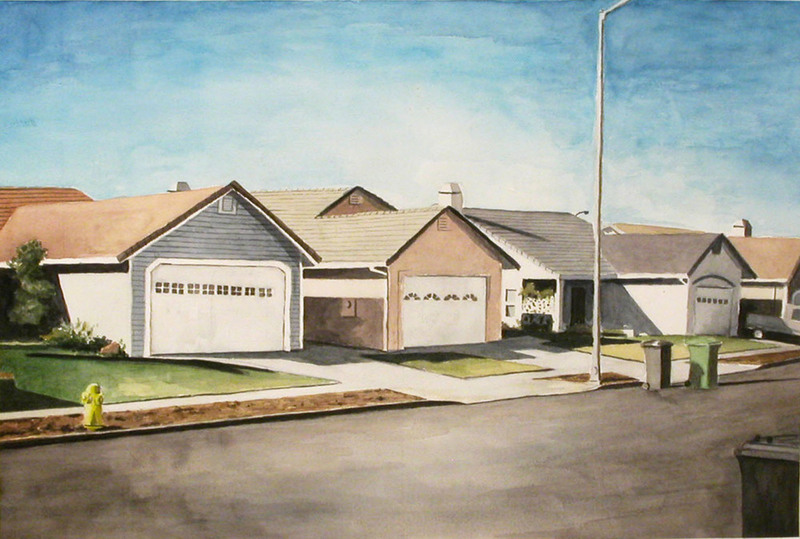 Suburban Street, 2002, watercolor, 14 x 21 in.